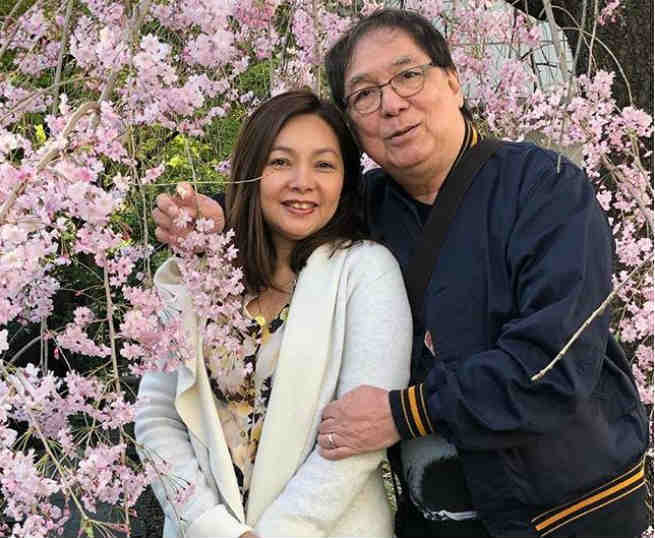 After 35 years, Joey de Leon and her long time partner Eileen Macapagal finally tied the knot last month after having three children— Jocas, Jako, and Jio. On Thursday, April 19, the ‘Eat Bulaga’ host marked their first monthsary as a married couple and as the comedian people have known him to be, Joey posted a sweet photo of him and Eileen together and compared them to the love team Alden Richards and Maine Mendoza. Akalain nyo mas fresh pa kami sa Aldub dahil First Monthsary pa lang namin! Aside from his three children with Eileen, Joey has two more children— Keempee and Cheenee with veteran actress Daria Ramirez.